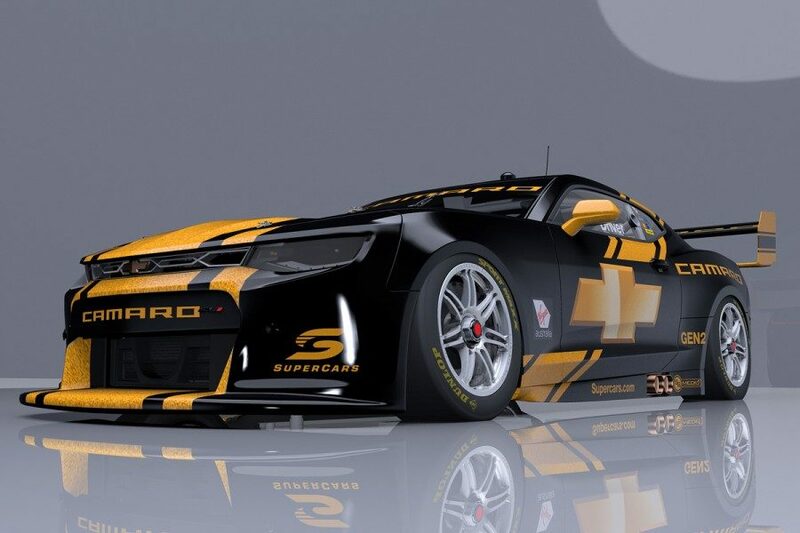 Boost Mobile boss Peter Adderton has thrown his support behind efforts to have the Chevrolet Camaro take on the Ford Mustang in Supercars. 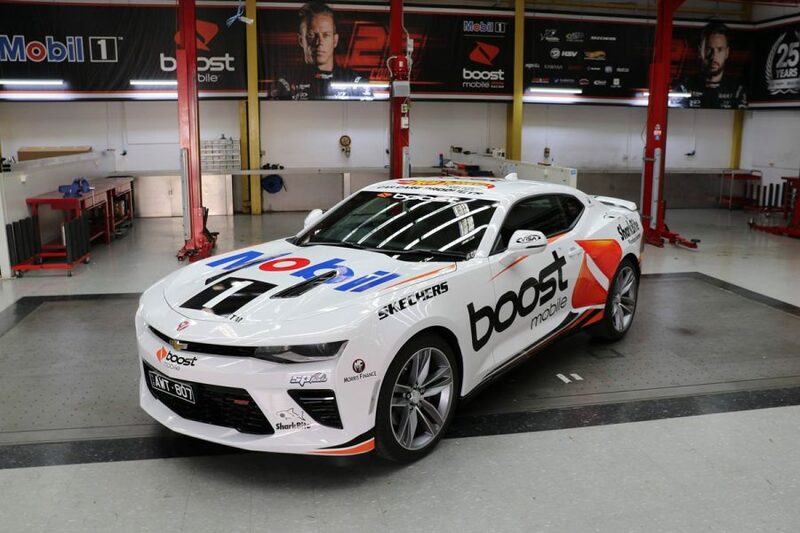 Boost is the title sponsor of Walkinshaw Andretti United, which along with HSV is currently undertaking an evaluation study into a Camaro Supercar. Although there are technical hurdles to overcome, WAU co-owner Ryan Walkinshaw has said the Camaro could be on the grid by 2020. HSV, which has a deal with General Motors to import, convert to right-hand-drive and sell the American muscle car locally, recently brought Boost-liveried Camaro road cars to Bathurst. US-based Australian Adderton says there was a “phenomenal” public reaction to the cars, solidifying is view that they should be on the Supercars grid. Adderton, who was a co-owner of the Australian Super Touring Championship in the 1990s, is also a vocal supporter of keeping V8 engines in Supercars, rather than adopt V6s. “I live in America and the Camaros and Mustangs are legends over there,” he said. “I think if we’re importing cars now, which is what we are [doing], we should import the ones that people want to see on the track. “I grew up in Australia wanting a Camaro, wanting a Trans-Am, wanting a Mustang, so I think it’s heritage, I think it’s part of the country. “With the evolution of the Falcon going away and the manufacturing going away here in Australia, the natural evolution of the sport is the Camaro and the Mustang, keeping that Ford and Holden [General Motors] battle going with these cars. 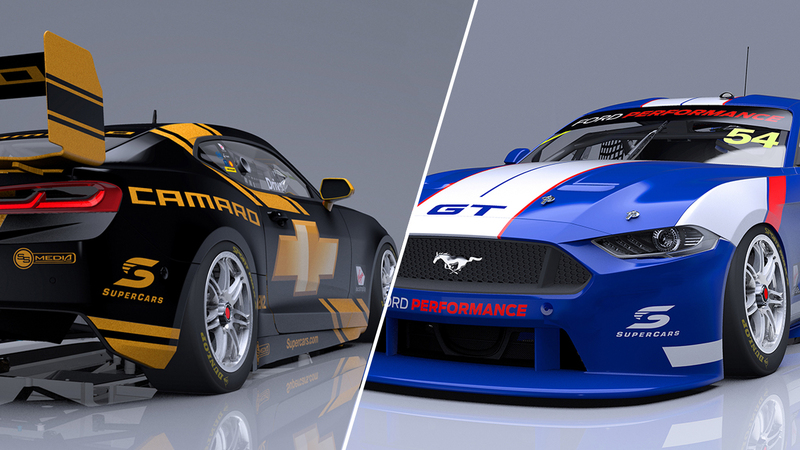 The Mustang will make its Supercars debut next year in place of the Falcon, racing against the new-for-2018 ZB Commodore and Nissan’s Altima, which has been in service since 2013. 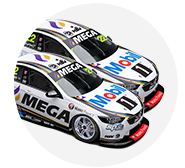 Adderton and Boost entered Supercars at the start of last year, growing what started as a personal sponsorship with James Courtney into a full, two-car deal for 2018. Although expressing a desire to remain with WAU, Adderton has declared an interest in Boost one day starting its own Supercars team, following Red Bull’s model in Formula 1. He says Boost’s Supercars involvement has been highly beneficial, and sees the new e-Series – of which Boost is the title sponsor – as a key platform to bring in new fans. “[It’s proven] better than we could have ever expected, I’ll be honest with you,” he said of Boost’s Supercars involvement. “We’re on the Telstra 4G network, and Telstra spends its money on the ball sports. “Our relationship with them is that we do the action sports and the motor sports, and I’d much prefer to be in our camp. “I’ll give credit to Supercars with the eSports stuff they we’re doing, they really are trying to get a younger fan base. “What it does is, I don’t know about you, but if you play a game like the kids are playing now it’s the greatest entree into the real thing. “They may have zero interest in coming to a car race, but when they start racing bikes and racing cars, and they love it, they want to come and experience it. “So instead of trying to talk above and below the audience, you talk with them, which is what eSports does. “It could be one of the greatest marketing things that Supercars does because it brings a whole new fan base to the sport, and there’s nothing like seeing it first-hand. When you hear it and you feel it, it’s critical.